To help you optimize the use of custom fields, you can group them into coherent sets. 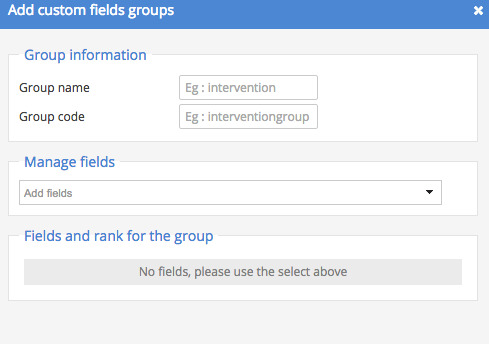 To create a custom field group, click Custom fields groups in Sellsy's settings. Then click Add custom fields group. Simply fill in the group name and choose the custom fields attached to it. You can now see the grouped fields in the client record.